Bodies of Men and Women are different. They are different not only on outside features but also on internal functioning. Women bodies go through periods, pregnancy and menopause while men don't. Some believe that yoga is same for both men and women but some scholars differ. Here we have collected some yoga FAQs (Frequently Asked Questions) which are commonly asked by women worldwide. Is Yoga OK during periods ? Its one of the most controversial question? Different gurus have different opinion on this question. But as we researched this question, we found that that there are some similarities in different views. Bodies of all women don't react in the same way during periods. Some feel more pain and discomfort while some don't. So you have to listen to your body during this time. Upside-down Asanas are strictly prohibited, backward bending asanas and Bandhs are also better to be avoided. 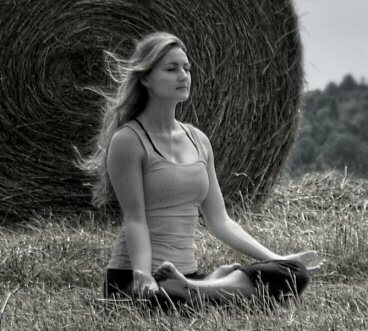 Some easy to do Asanas like Yoga-Nindra, Anulom Vilom, Bhramri Pranayam, Ujjayi Pranayam, Chanting of Om are few of the asanas that are advised by everybody during Periods. Is Yoga safe during Pregnancy ? Bikram Yoga or Hot Yoga should be avoided as the heat may harm the baby. Don't overdo the twisting poses. If you have to twist then use your shoulder and back, rather than waist. At last listen to your body and don't do anything where you are fearful or uncomfortable. Is it OK during menopause ? Menopause brings a lot of hormonal changes in the body of Women. Usually Yoga can help you in getting relief from the side effects of these hormonal changes. Yoga is better way to get relief from stress symptoms and it works in most of the cases. At least its better than relying on medicines.